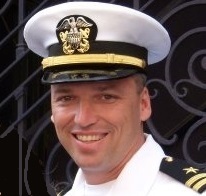 Rick Hall retired from the United States Navy in 2010 after 24 years of service. Working his way up from the junior enlisted Sailor to Navy “Mustang” Officer, Rick has been on the receiving end and giving end of hundreds of military health and cleanliness inspections. He learned how to produce and inspect only the highest standards of cleanliness. He also served in all levels of technical, tactical and management positions and earned the privilege to lead as many as 250 military, civilian and contract personnel at once. An experienced and successful program and project manager, he excelled in managing many complex, high priority, multimillion dollar projects and gained a reputation among senior leaders as a highly motivated, positive and inspiring manager and leader. He started Squared Away Cleaning Co. to provide the best service value possible for facility managers and business owners. He is a man of faith, husband of 26 years and a father of two. His professional profile can be found here on LinkedIn. Starting out in the junior enlisted ranks of the military, I learned the true meaning of clean very early in my career. As a young Sailor, in addition to my technical duties, I was charged with scrubbing everything in sight in preparation for daily health and cleanliness inspections. Rising through the ranks, I worked my way up to supervising the people cleaning, then up to managing the supervisors and ultimately became the officer leading the managers and inspecting the entire process from top to bottom. What makes this process work so well in the military is that there is a clear cut standard that must be met to pass inspections. That standard is graded on a very simple scale – Outstanding / Excellent / Satisfactory / Unsatisfactory. In a cleaning business however, Outstanding is really the only grade acceptable when clients are paying for your services. Just like I did back when I was the person scrubbing the corners with a tooth brush, I take great ownership in anything that has my name on it. It has to be done right. When I wasn’t assigned to Navy ships, I was often given the collateral duty of Facility Manager on shore duty. I can’t remember ever being satisfied with the level of service provided by contracted companies. It seemed the government always awarded huge, long term contracts to companies that were guaranteed an opportunity to bid due to government contracting small business set-aside requirements but many of those companies struggled to get the work done per agreed upon standards. We aspire to be the exception to this scenario. My personal guarantee / promise. If there is ever a time when we overlook something or fail to live up to the “The Higher Standard” that we advertise, we will correct the problem immediately or as soon as practical or I will offer compensation for the inconvenience. It’s just good business to take ownership in your work and ensure that the standards are met. Copyright © 2018 Squared Away Cleaning Company, Inc.